Icons that are as stylish today as when they were first produced. In 1936, G.H. Bass introduced a shoe that would change his company (and American style) forever. Taking cues from a simple slip-on leather shoe from Norway, the now ubiquitous Weejun was born. Combining true hand sewn moccasin construction—requiring one large piece of leather to wrap under and cradle the foot—with a leather dress sole and heel, G.H. 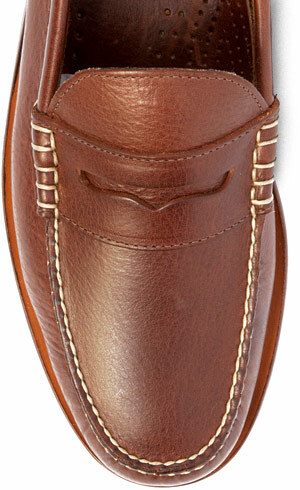 Bass & Co. created a shoe that was both durable and extremely versatile. 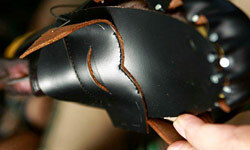 The company's addition of a leather strip across the upper with a unique half moon cutout would come to define the Weejun, along with countless imitators. Bass Shoes was founded in 1876 in Wilton, Maine. Launched as a casual shoe, the loafer quickly found its way into more formal occasions. American men were quick to bring them into the office and classroom. By the 1950s, Weejuns had become a staple for college students around the US as well. A trend so widespread, that it prompted their inclusion in "The Official Preppy Handbook", and solidified their place as a staple of any true prep's wardrobe to this day. In the 1960s, young people began sticking pennies into the shoe's half moon slit, prompting the moniker "penny loafer," a nickname that has stuck around for over half a century. And in the Weejun's 75 years, not much has changed. What made it a great shoe in 1936 continues to make it a great shoe today. They're still handsewn, still made using the same moccasin construction and can still be resoled over and over again. The only real difference is the Weejun is now offered in more great leathers and finishes than simply the original box leather. Consider it even more versatility for the Swiss Army knife of dress shoes. While "penny loafer" stuck as a nickname, it could've easily been dubbed "dime loafer" as people in the '40s and '50s stuck dimes in their Weejuns (enough to make a pay phone call at the time). True Moccasin construction uses one piece of leather to cradle the foot and a hearty beef roll stitch on the toe. Like much more expensive shoes, the Weejun can be resoled as long as the upper is in good condition. The name was short for Norwegian, as it was inspired by traditional peasant shoes from Norway.